How was your day getting back to work? I hope it is as exciting as it is for me. I don't know about you, but getting back to work after a long holiday is tiring yet exciting. So to boost my mood up, here's my idea of playing dress-up to get back to work after a long holiday. 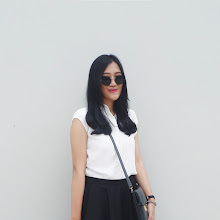 I wear my comfy long sleeveless top from shopatvelvet & pair it with my favorite mom jeans from Pomelo. 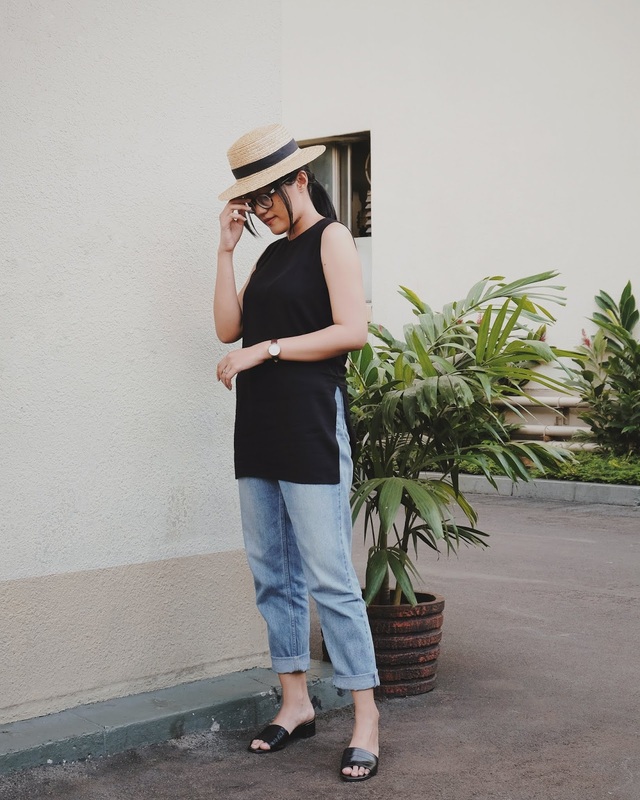 Because it is a lazy-working-day, I wear my croco-leather sandals from Charles & Keith (these are currently my favorite pair!). And I also wear my hat from topinara because I still want to feel the summer holiday vibe even holiday is over and I should get back to work. Because my office is a very casual work environment, I get to wear anything I like as long as it is proper. So there goes my idea of office attire after long holiday. How about you? Let me know in comment box below!